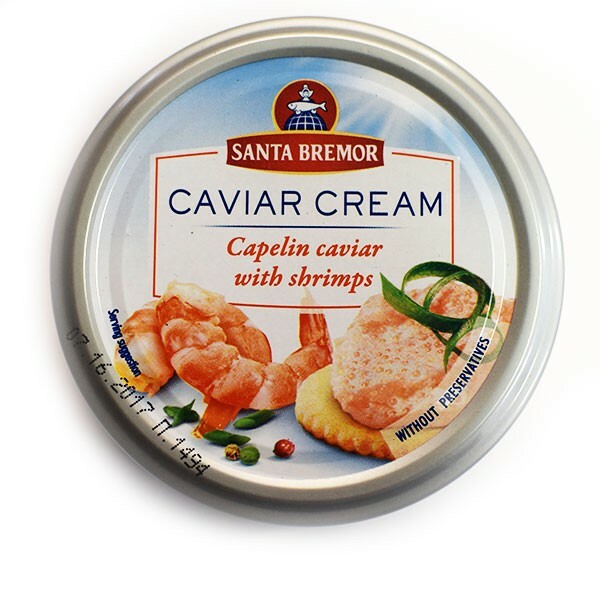 Capelin Caviar Spread with Shrimps is produced by Santa Bremor in Belarus, the nearest western neighbor of Russia, and is well known in most countries of Western and Eastern Europe, Central Asia and the USA. The product is noted for its outstanding quality and magnificent taste. The spread is exactly what you need to make gourmet sandwiches. The preparation is quite simple and does not take much time. You will only need several slices of bread, fresh or toasted, depending on your preferences. To add some new tinge to the appetizer you can use fresh vegetables, for example cucumber and tomato. Besides, it is possible to refresh the sandwich with the help of some greens and spices.